No one likes change. But not everything changes in a change. Discover what exciting new thing you might be missing out on because you are too committed to the idea that you are unwilling to let go. Hey fellows, welcome to ManTalk. A good to be back with you again. My name is Vince Miller. I am your host, Stan. You know, man. Talk just as simple as that. It's men talking, right? That's what we do where you love to talk. I think we do. Anyway, so today we're just continuing our series on 30 virtues that build a man. If you haven't gotten a copy of this book, you need to get it, grab it at www dot. Be Resolute that org forward slash 30. That's t h I r t y. Go there right now. Get a copy today. You guys will love this for mentoring conversations with other men, which is what we are. Men Mentoring each other, right? Yeah. I liked this stuff, guys. We're. We're at trout lake camp. How do you like it so far? It's been great. The weather is nice. It's cooler up here — substantially cooler twin cities. It's nice. Yeah. If you are at the heat island, it's hotter, right? You know you come up here, it's like a little bit cooler is nice. It's a little gray outside, but we don't mind it. It's a great getaway, right? Great time there. A few hundred guys here. Do you think they're having a good time? And they seem to be. Think they liked the speaker at all. Is He? Okay? Very good. I'm overwhelmed. He's okay. So I'm the speaker by the way. Uh, anyway, it's so fun to be up here with these two guys. And these guys are friends from back in the cities and I just asked them to sit in today on a, another chapter of this book. And this chapter is entitled change. Have you ever changed before? Time is a couple of times. Did you change your clothes last night? You're up north. So we do things different. So at home we take showers and stuff. Here we don't; we don't Shay, we don't take showers. We don't do anything. So anyway, uh, you know, I think that guys in our lives, we men have to understand how to change. And here's why I think, I think why is because we are meant to be changed in the face of an unchanging God. God never changes by the way. And that's what I love about God, is he can be anticipated, and because we're broken, we change all the time. In fact, we have to adapt ourselves to his life. So I was trying to think of a moment in my life that I went through, um, a lot of change and we've all gone through changes in our life. Can you think of a moment in your guys's lives, brand new Chris, where you've gone through maybe a significant change or a moment that was a very powerful change for you? so sometimes change comes from learning that you can't do something. Absolutely. Sometimes we were getting experienced painted. What about you, Chris? Yeah. So, um, real quick, uh, scripture on change that has changed my life. It's from Isaiah says, the grass withers, the flowers fade, but the word of God remains forever. Okay? Everything changes except for God. And I couldn't get sober from alcohol. Personally, I wasn't going to survive, and I could not do it on my own. Cried out to God. My entire life changed everything I ever knew. The grass has never been greener. The Sky was never bluer when I got sober, when God helped me do that. And life's just not the same as it was four and a half years ago. Vince. Yeah, huge change. I'm so grateful for the Lord to help me through that. And we've talked about that before many years back, right? And you were kind of in that beginning phases of change, but now you're kind of, let's say to some degree getting over the Hump a little bit is if you're just saying it's more full of life for you because of what God did back there because of what God did. I really believe he made me a new creation. I believe he changed me, he renewed my mind. And so the way I've looked at things, the way I look at politics, the way I look at my wife, who God gave me, it's all new to me now. My house is new, my everything is new, and it's, it's just a beautiful change, and I am grateful for it. It's remarkable. And you connected back to that first change, right? So now you're about to have a kid, right? Oh yeah. That's your life's about to change. This is very not ironic. It's God's doing and yeah, I've never dealt with so much change in my life to be completely frank. Oh, interesting. I mean, this will be a learning for you because he's about to be your father, so you know, but you're about to be one. Your name is about to change. It's about to go from Chris to dad. That's a significant metamorphosis. How do you fail? Oh, honestly, slightly terrified and very excited. Okay, so that's important to note. I think sometimes we fail to remember that change is both terrifying and exciting and it can be both at the same time and one can be very scary and intimidating and the other was very. Has almost an adrenaline rush that goes with it. And if we can embrace change, it can be very powerful for us. So I remember when I was a, I was a younger kid. I remember one year, one year, one summer, I grew five inches. Wow. It was the most painful change I ever went through. It is very dramatic, and I mean my calves hurt can incessantly. I could almost feel my bones growing in my body. Now you've probably, you're a nurse, so you probably have heard stories like this, but five inches was, it's a lot, and I remember coming back to school after the summer and I was like, man, I'm like five inches taller, man. I can play on the basketball team. Maybe overstating it. But I remember it was both of those things. It was awkward because, you know, my muscles were now stretching out, right? My bones, we're stretching, right? Are growing. And it was kind of awkward running and walking for a while. But I mean, we go through these changes, and they can be both terrifying and exciting. Right? Uh, you know, one of the big changes in the Bible that we're looking at today is the change of Saul to Paul. You know, it's something we kind of forget about in Saul's life. You know, we, we always see Paul through Paul's eyes because he wrote so much in the New Testament, but this guy was met by Jesus on the Damascus road and was struck blind. Talk about change that's pretty sudden and his metamorphosis from real hater of Christians to becoming a Christian that loved Christians was much longer than we realized it wasn't just a single moment where he's blind, and he gets his sight back again. There were many years that transpired between the time that he met Jesus and then the time that he became the writer, the author of the Church planter, Paul. I mean, you hear a story like that. That's pretty significant change. Have you ever had a spiritual moment like, like Saul did here in the book of acts? Yes, I had actually on September 20th, 2014. Okay. So you remember a date? Oh yeah, totally. My life changed that moment. I had my last drink, and I threw the bottle into the woods, and I just cried. And Leonard. Yeah, I did. You can go back and get it later. I'm sorry. Yes. That's probably a lot of them in the um, to be honest. siding because God can take what we feel is unworthy and turned it into something beautiful and worthy. Right? 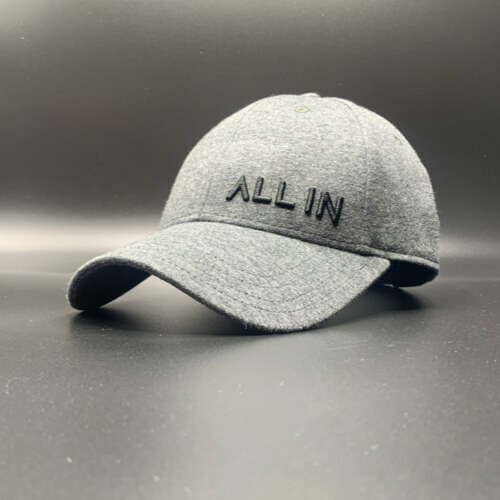 Like, for all of. And we, we each, and I'm assuming any of you guys out there have experienced maybe a moment where you've had an encounter with Christ, and you realize, wait, a, I can change right now. I got to ask you, Brandon, because I know that you're a part of a blended family, right? Yeah. Yeah. So you've gone through some changes, right? So, uh, you have a, a child from a previous marriage, right? And then relationship, previous relationship, never married. Okay. So, and a child from a previous relationship, married a great Christian woman who I know by the way, awesome woman. And uh, you've had to go through probably a lot of changes there as a family. Can you talk about one or two of those changes? Yeah, I mean, uh, it's been cool to see what Kelly is a very special woman, so she does a pretty good job of kind of selling herself to my son. But uh, who is, how old? He's ten now. Okay. And fifth grade. And uh, he at first was like, okay, this is interesting. You're getting married, you know, he was excited, but he was also kind of confused and, but as we came into the house all together as a family, I did as best I could to set the tone of like, Hey, look, you know, I love Kelly. She's my wife — things that come from her. She's your stepmom. But things that come from her are going to be as if they're coming from me and I want you to understand that, that I back up everything that she says and he pushed that a little bit as every kid does and, but it was corrected with me kind of bringing them back and trying to reminding him because he looks up to me, he's, you know, he trusts me. And so he knew that if I trusted Kelly that he was like, okay, I'll kind of get rid of the shot. And that laid a foundation for them to just blossom. And they like this. I mean there are times unfortunately or fortunately, but for me, I'm like, Hey, come on. So he's like, how was Kelly coming? Like, okay, yeah. Well, that's good though. I'm like excited that is so intimate with her. They're so close. She's singing them to sleep and all this. Wow. That's remarkable. And see you, you lead that change a little bit, didn't you? And you kind of nurtured it and you did some things to bring the change about that made it easier for your son and maybe even easier for Kelly, right? Yeah. I think that's what great. I think that's what great men do is they lead people through the change. I, you know, I sometimes think for some people, change is always bad for them, right? Change. They always see changes, bad and they hold on to dear life as it is. But really where we started this whole podcast today was, is with the fact that we are designed to be changed. If we can run with that assumption in life, then we can assume that everything isn't always going to be the way want it. And if we can take that assumption off the table, then maybe we'd embrace change even better. But another great part about it is, is if we can have either another brother or a friend or a relative or a great dad who's willing to kind of lead us to the change or great mentor who can guide you through those challenging moments, right then it makes change a little bit easier. Right, and we can see the positive from it. We can see the outcomes on the other side and I got to tell you, I've been through lots of changes in my life and the one thing that has helped me more than any other has been a man that can help me see down the road in the beauty of the change that may be currently very painful. Right? Help me to see beyond it. Cast a vision for it and I think that's what's so incredible about Paul's story here is that Paul was going to be used in, in the story is Anna [inaudible]. God has got to convince Ana and I used to go over to the house to heal him, right? To heal him and he convinces him with the statement, I'm going to use him for my purposes. Right? I'm going to use them for my purposes. I'm going to show him how much he must suffer for my name. Now I'm sure Anna Nice was onboard with saul suffering a little bit because he was tired of being persecuted or people being persecuted by them, but I think on the other side of the equation, there's the vision part of it that I have holy purposes for him. Right? I've got something special for him. I have a mission for him to accomplish and I think that's very beautiful when we start to see the vision on the other side of change that keeps pulling us along. Right. So how about this. I'm going to ask you a kind of a personal question to kind of draw the guys out here a little bit, but what kind of change do you think needs to happen for you immediately were at camp. You've heard a couple of messages on how God wants us as men to change. What do you think God is beginning to kind of stirring your heart regarding one small thing in your life right now? What needs to change? Go ahead, Chris. Yeah. For me, it just knows that all was amidst all the change that's going on in my life, I want to be present at the moment. I want to know that as the Romans Eight, 28 thing was. I know all things are gonna work together for my good because I love him. The baby, it's new, it's changed. It's scary, but I know it's gonna work out for good. My car broke down two weeks ago. I want to live. I want to trust God that that's gonna work out for good. I'm a new house. I want to trust God that that's gonna work out for good. My sister, I'm going through struggles. I want to old. That's gonna. Work out for good. I want to know. I want to trust God amidst the most severe changes in my life at one time and I want to be present with my wife in this season. I know that's a loaded answer. Once again, I always seem to do that, so forgive me, but I want to be present in my life with the Lord amidst all this change, so that's really good. Yeah. Now marked out a goal and you've said, look, there's a change going on, but the thing that needs to change in me is I need to be faithful and constant, right? Present, present, present to God and present to what he's doing. I love that. What about for you? Right. You know, I think presence is a big factor as well. I think, uh, when it comes to brothers, that's something that I feel like a lot of men, I don't, I don't know for me personally and a lot of people I'm surrounded by, I feel like we don't always have as much connection as we'd like or should have you look at, uh, you know, Jesus and the 12 you look at all the different, uh, communities, men throughout history. And that's something that I feel like maybe our generation is missing out on or maybe I'm just missing out on. So that's kind of something that I want to see grow. Um, we're very busy as well. You know, we're about to buy a house as well. 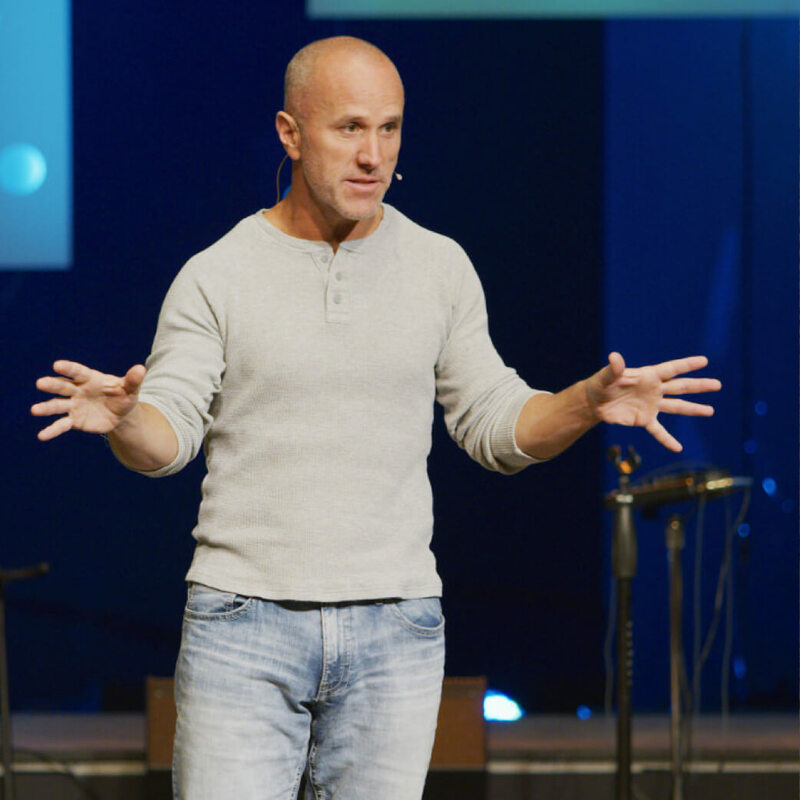 And so I really want to make my house a place where a lot of community is coming in, and we're connecting and, and having the church there and uh, having just as much community as possible. Yeah, that's good. Well, guys, I hope you pick up what these guys are talking about today. I think this moment right here that we're having, don't just listen to the content of it. Listen to what's happening between us. We're exchanging some accountability, some of the relationships I'm pushing in, we're challenging each other, right? And we're digging a little bit deeper than we normally do. And I would encourage you to have a conversation like this with another guy. I mean, you can listen to the podcast, that's great, but it's always better with buds. It's always. 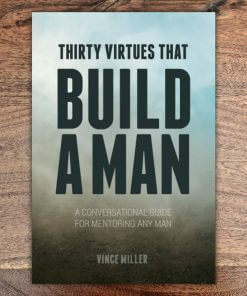 And so pick a cup, pick up a copy of 30 virtues that build a man, asks someone to mentor you, go mentor somebody else, but build some brotherhood because life is changing. It's always changing on us, and we're always going to have to change. And the only way to do that is like you said, Brendan, it's with other men that want to honor God. So guys, thanks for being with us again on another episode of man talk. Get into God's Word daily, and stop anytime. Thanks for subscribing. Check your email!